On Thursday, instead of going straight to work, I headed into Cabot Circus to meet up with Laura before heading to the press preview of Boux Avenue. I’ve known of Boux Avenue* for a while (and reviewed some items from there previously) and was excited to see the boarded up shop in the centre of Cabot Circus advertise it was to become a Boux. 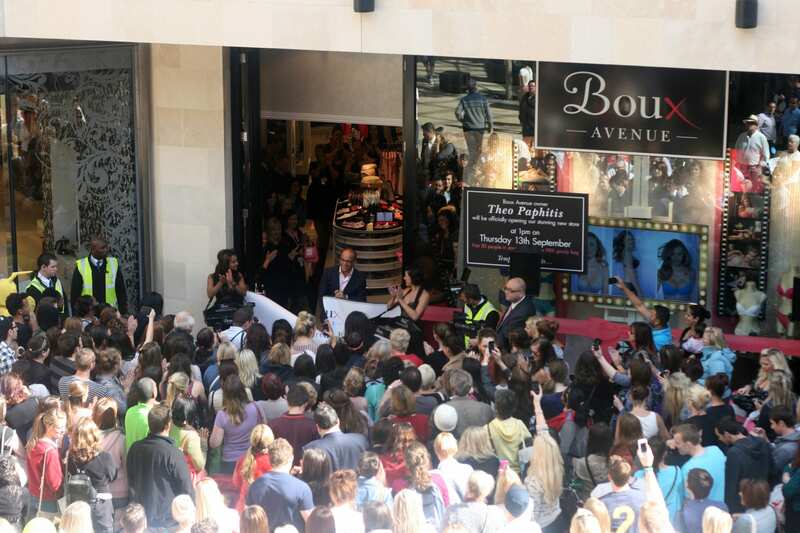 It’s strange to think that Boux Avenue is just over a year old, having been launched in spring 2011. The Bristol store is the 13th one to open, and there are many more planned in the next few months. I loved Boux’s online store because of the sizing (from 30A – 40H, probably the widest range in a high street store), but the physical store is just so much better. The store is one that you’d want to look around for a while (not like other high street lingerie stores where the colours and style is one that puts you off going in, let alone staying in for a while! ), and the staff not only seemed knowledgable about the products, but were friendly and approachable! I’m so excited to have one of my favourite online stores have a physical presence in my nearest shopping centre…I know where my wages will be disappearing now! The questions you mentioned above are faaar more logical and interested than those I asked Mr P! Lovely blog post. I’m so glad that you enjoyed the opening day! I loved my trip to Bristol, and can’t wait to pop down again soon. I LOVE Boux Avenue, I really hope they open one up in Cheltenham soon!